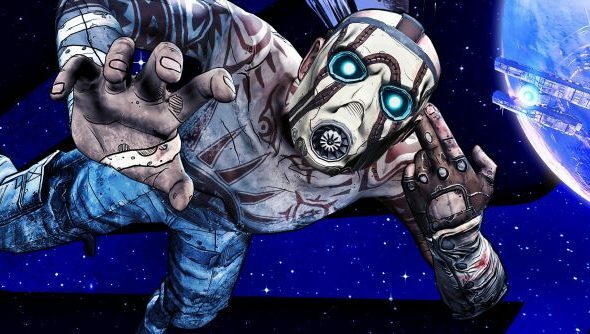 After much deliberation and research, Gearbox have decided to implement a permanent 3x drop rate to legendary items within both Borderlands 2 and Borderlands: The Pre-Sequel. “After analyzing thousands of hours of your gameplay and feedback survey data, we’ve decided to add a permanent 3x drop rate increase to both games!” said Gearbox PR manager Jeff Skal. This is not a drill. I repeat – this is not a drill. It turns out this isn’t a random act of generosity. For the past five weeks, Gearbox have been tweaking the drop rate, while relying on helpful community folk to get an idea on what sticks. “For the curious, here’s a little background on how the experiments went down.” Jeff explained. “Every week between April 9 and May 13 had a different legendary drop rate modifier applied via hotfix, but we held back on the exact details. We did this because we wanted to find out what drop rate felt right and didn’t want player opinions being influenced by the numbers. You’ll get the hotfix applied to either game at the “Press Start” screen if you’re connected to the internet. Is it time for another romp through Pandora?